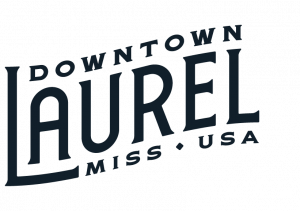 Planning a trip to visit Laurel, Mississippi? Don’t miss some of the best local spots, great Laurel events and happenings and great sightseeing on your way. We hope these resources will help you make the most of your trip to Laurel! 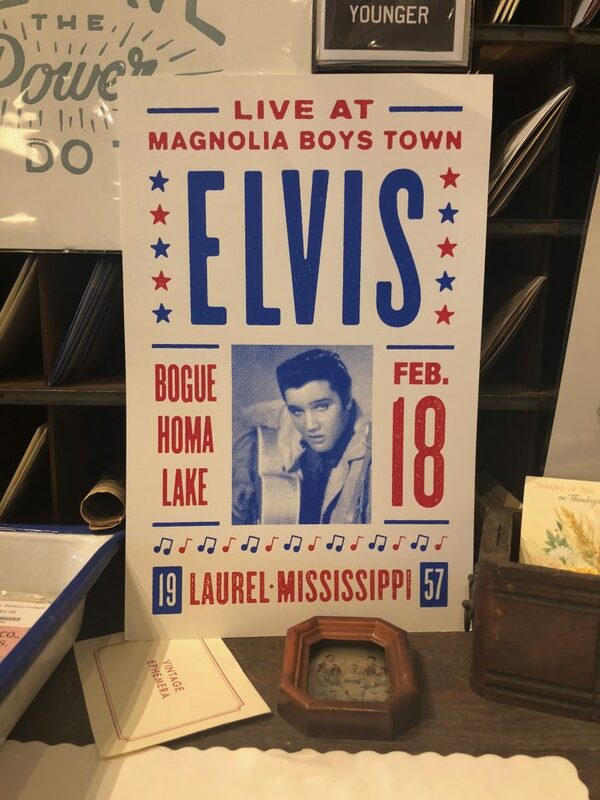 Planning a visit to Laurel, Mississippi to join us for HGTV’s Home Town Season 3 Finale block party? You’re coming at the best time. We recommend arriving on Friday, April 5th to make the most out of your trip. Skip the hotels! Airbnb is where it’s at. Laurel, you sure are pretty. Depending on when you arrive and check in, the first thing you should do is get Downtown. Local’s tip: Get a map. Our official Downtown Laurel map will help you navigate from store to store, all the way to the Historic District. 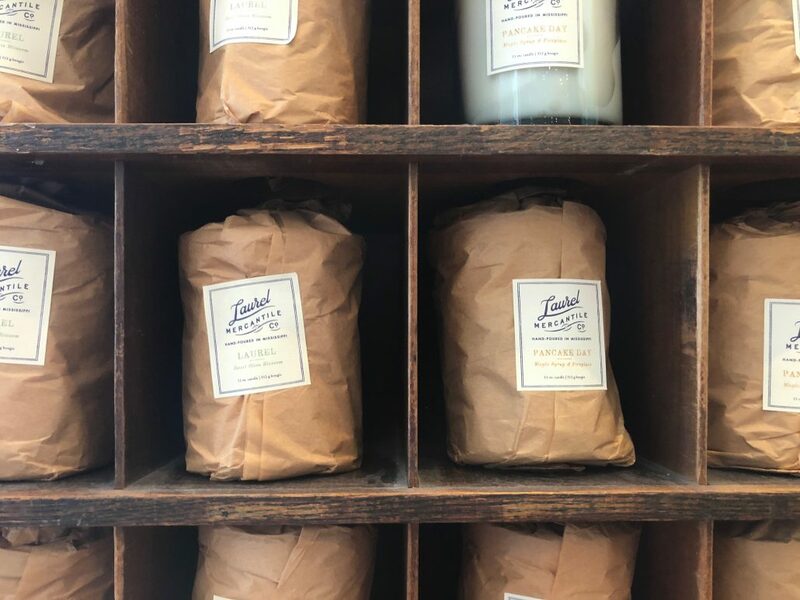 Find one at Laurel Mercantile Co., Scotsman Co. General Store, Lott Furniture Co., or the Laurel Welcome Center. If you have time, get your bearings! Take your map and get an idea of where your stops will be. Definitely stop at Café la Fleur for dinner. It’s a New Orleans style restaurant, with plenty of yummy Cajun food to choose from. Our favorite dish is the seafood enchiladas. Erin’s is the Cuban sandwich! After you’re stuffed, walk on over to Lee’s Coffee and Tea for Open Mic Night. Every first Friday of the month, Lee’s hosts local talent (all family-friendly) from 6:30-9 PM. Enjoy craft beer, board games, dessert, and live music! Ready and waiting for YOU tonight! Start your day off right with breakfast at Sweet Something’s Bakery! They have everything from warm sticky buns to fresh scones. Then, go ahead and start shopping! Our merchants have lots of special events and sales going on this weekend. Namely, Guild & Gentry, Laurel’s only men’s store, is having a Sidewalk Sale with items 40-70% off and live music from 12-2 PM! 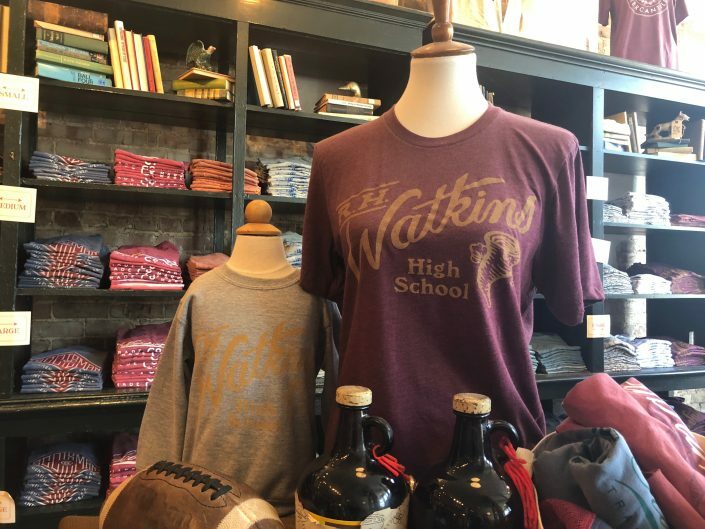 Make sure you stop by Allie’s on Magnolia next, because they are also having a huge sale for their Anniversary event. This is a great day to visit Laurel Mercantile Co. and Scotsman Co. General Store. If you don’t buy anything else at LMCo., buy a candle! Our favorites are “Laurel” and “Porch Party”. And make sure you grab a Honey Lemonade from the General Store. “I wear one of our t-shirts almost every day; they are the best. Y’all come and get them while you can!” | #GarysPick never fails! We’ve got a HUGE sale on our t-shirts right now to make room for our new designs. Hurry and get them before your favorites are gone! link in profile. If you’ve even got time for lunch, you’ve got to head on down to The Knight Butcher for Ribeye Day. Chill out on their patio and enjoy some good food and live music! Dinner for Saturday = The Loft. Their hours are 5:30-until, so this is a good place to camp out and relax after you shop til’ you drop. They have a full bar, steaks and seafood, and an incredible outdoor area. We recommend the steak bites. If you’re still raring to go, we’ve got some A+ nightlife to throw your way. For drink #2, or #3 or #4, get to Slowboat Brewing Company. Cary Hudson and Mark Mann go on at 7:30, and the brews go on til’ midnight. This venue is low-key. There’s plenty of seating available, and is kid and dog friendly. If you have a late night sweet tooth, make a short trip to PDI for a milkshake. Early riser? Vic’s opens at 6 AM. Go there. Get a butter biscuit. 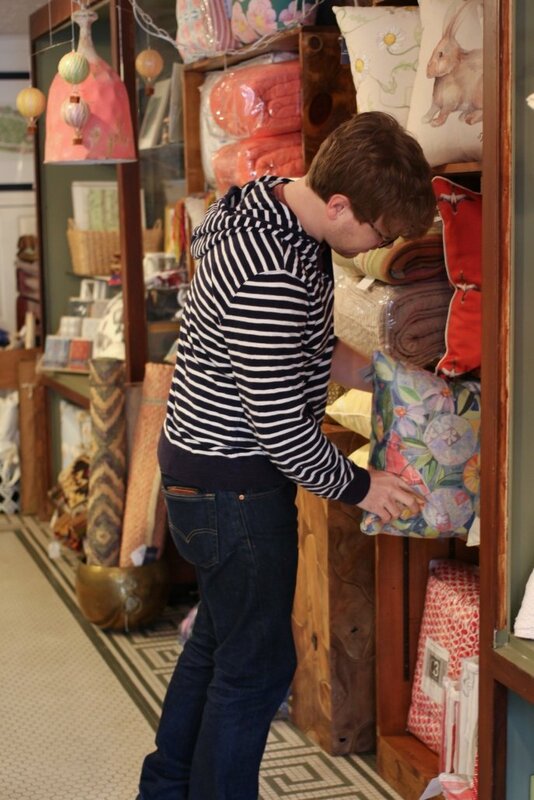 Throughout the day, continue to shop around and visit some of the shops you missed yesterday. This is special! Many of our businesses are typically closed on Sundays. We are opening up just for you! Make sure to come see them and let them know you’re happy to see them. Do not miss Lauren Rogers Museum of Art. Laurel’s only art museum was actually Mississippi’s first! We have the world’s third smallest basket (literally cannot be seen without a microscope), beautiful Georgian silver, master works of art, and seasonal exhibits. 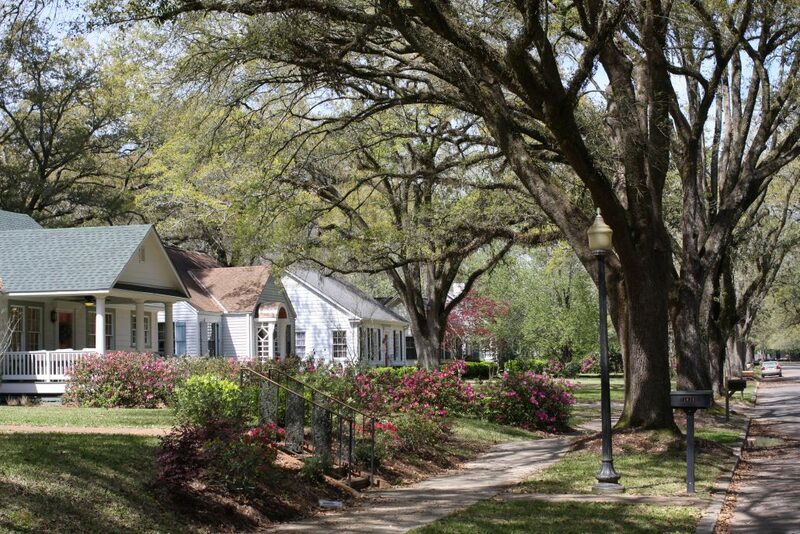 Next, go take our walking tour of our Historic District! The official brochure is at Lauren Rogers Museum of Art. 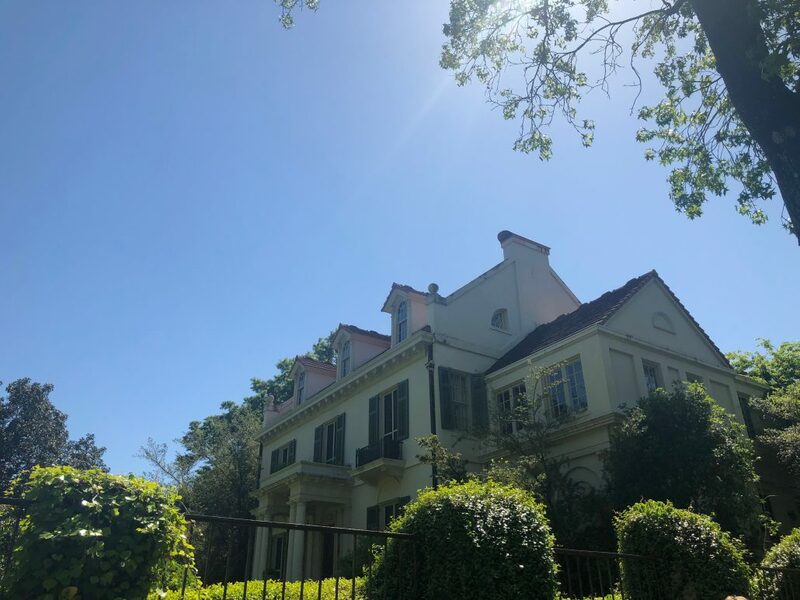 Not only will you see various classic architectural styles, and Historic churches and parks, but also some very special homes you might have seen on TV! Locals Tip: No one can or will give out addresses to the Home Town houses for privacy of the homeowners, but if you explore, we guarantee you will find them! For lunch today, mosey back on down to Lee’s Coffee and Tea! They have great sandwiches, salads, soups, coffee and tea. This café is perfect for Sunday lunch. Because we are such a small town, not many of our restaurants are open. (For rest, of course!) 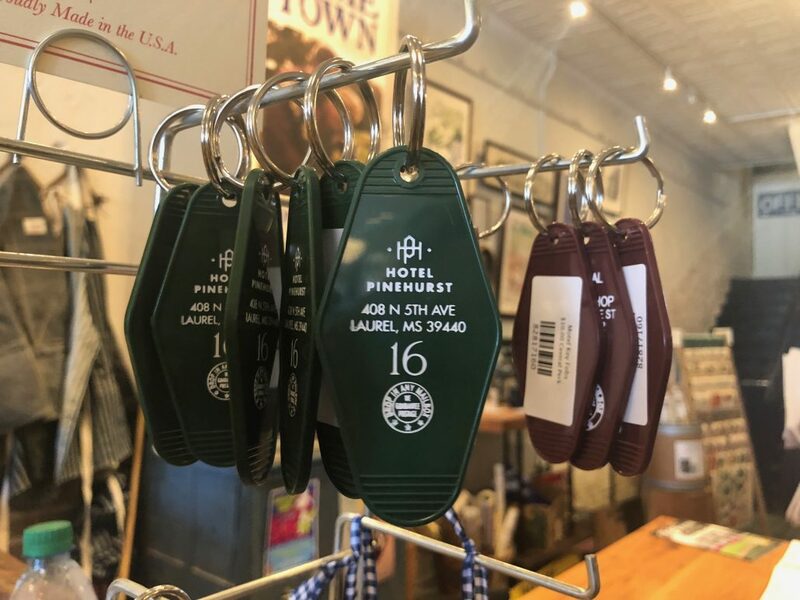 You might want to travel to 16th Avenue to find a bite to eat. 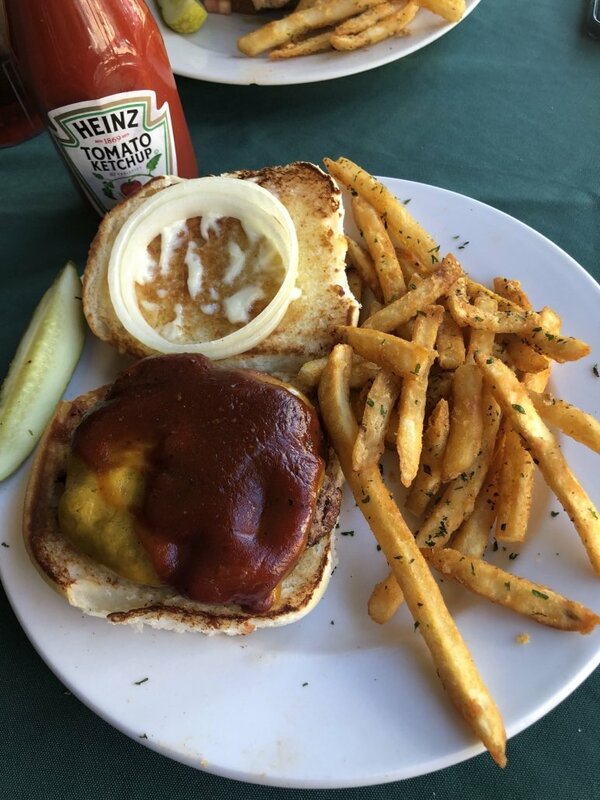 We have recognizable chain restaurants, but we recommend eating at a locally owned establishment! Try Reyes Mexican Grill and Bar or Blue Crab Grill. Both are great! This might be your last breakfast in Laurel, so make it count! Stop at the5000 food truck beside the General Store. Try the breakfast fries. You won’t regret it. And again, go shop! There’s still a chance you’ve missed some shops, or you can always make a second visit! Loblolly Boutique (our children’s boutique and toy store) is having a special pop-up event for tween girls. They can make their own bracelet and meet some empowering women in Jones County! From noon to 4 PM, Pinehurst Rathskeller Art Gallery and Supply is sponsoring the Downtown Laurel Art Walk! 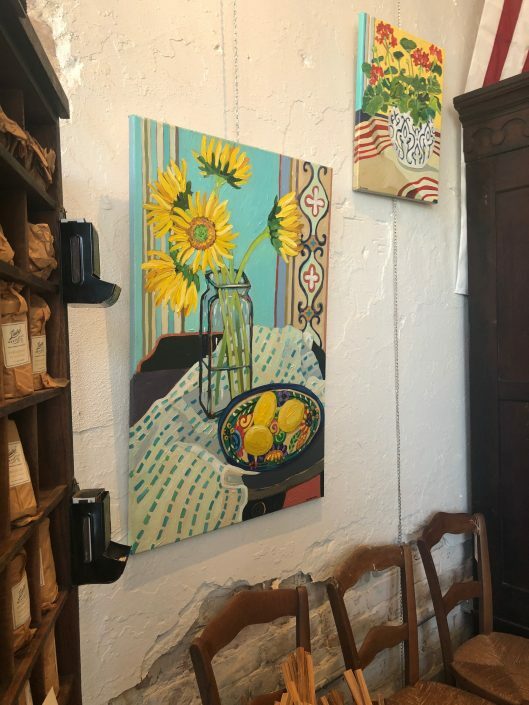 30 artists will be scattered at businesses around town doing live demonstrations and selling their work around town. The Gallery will also be having sales in-store. Another thing to note: LRMA will be open and hosting a kids craft during the art walk. Also at noon, reruns of Home Town will begin to air on the big screen until 6 PM! If you ever want to stop and chill, grab a chair or blanket and see all your favorite homes again! Lunch? The Pearl Diner. Mrs. Pearl will have a blue plate lunch ready for you, complete with the best darn Mac and Cheese around. Get ready to be stuffed. During the day, Magnolia Street will be closed with lots of activities for children, tables to sit and eat, live music, and art from Laurel High School students on display. Don’t miss Shug’s Cookie Dough and Candy Bar! They have allllll the sweet treats, and are doing a special “decorate your own Home Town house” cookie kit for just $5 all day long. More block party festivities will begin at 6 PM, so we recommend either grabbing an early dinner before, or be ready to move back and forth from the stage. Try Mimmo’s for authentic Italian food, or munch on something good from the food trucks that will be parked on Oak Street. The pre-show entertainment will include more live music, homeowner interviews, giveaways, and VIP Introductions. If you’re wanting to still move about town during this time, grab a drink from the beer truck, and go check out Ben and Erin’s furniture showroom at Lott Furniture Co.
Make sure to settle in by 8, because that’s when the episode starts! Watch Home Town right in the heart of Downtown Laurel with other fans and locals alike. It will truly be a special experience! We hope you enjoyed this itinerary for a weekend in Downtown Laurel, and we can’t wait to see you! ****Even though it may not seem possible, there are lots more businesses to visit that were not specifically mentioned. Go here to find out more and explore special activities and shop hours for the weekend. Sign up in the gold box for weekly updates and news on Laurel, Mississippi! Take a Tour of Laurel’s Historic Homes! Sometimes, when you pass the same sights every day, you’ll stop noticing them. Thankfully, Laurelites have sights so beautiful during that morning commute, no one forgets the beauty of the Historic District. Maybe you’ve seen HGTV Home Town, and you love the restored homes brought back to life by Erin and Ben. But have you seen the historic homes not shown on TV? You can get your self-guided walking tour brochures at The Laurel Welcome Center, Lauren Rogers Museum of Art, or Laurel Mercantile. 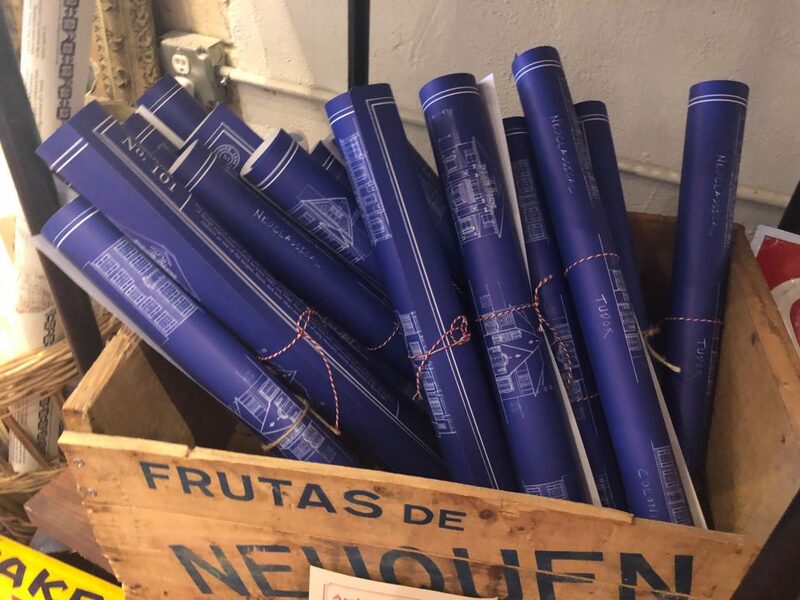 These brochures feature 24 significant locations in our Historic District, little-known facts, and amazing architectural details. I’m lucky enough to live in the Historic District in a very old home with tall ceilings and windows, a huge wrap-around porch, and plenty to look at right outside my door. And when I’m wanting to get out, everything is in walking distance. I’ve got a tennis court across the street, and can walk to work and Downtown in less than 10 minutes!” – Our own, Keri Rowell; Taken from our #iliveinlaurel blog. This house is a fortress! Not only was it built to be fireproof, but it also stood up to the might of Hurricane Katrina. A tree fell on it, and the occupants didn’t even know until rain started leaking in. Impressive! The gardens! 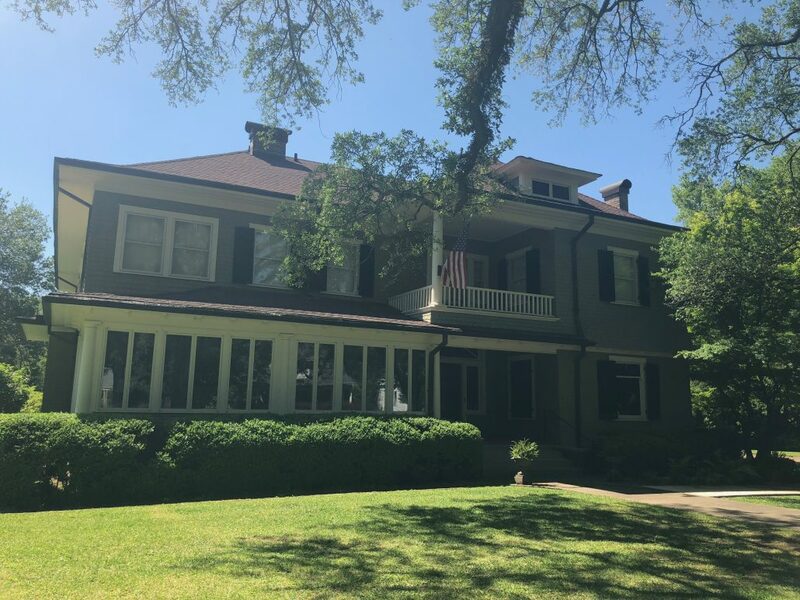 The luscious gardens surrounding this house are a favorite view of locals as they drive into downtown to work each day, but are best enjoyed during a walk through the historic district. Leontyne Price, the first African-American to become a leading artist at the Metropolitan Opera, got her start here! Her aunt worked for the family, who eventually became her patrons and helped to bring her stunning voice to the world. You can stay here! 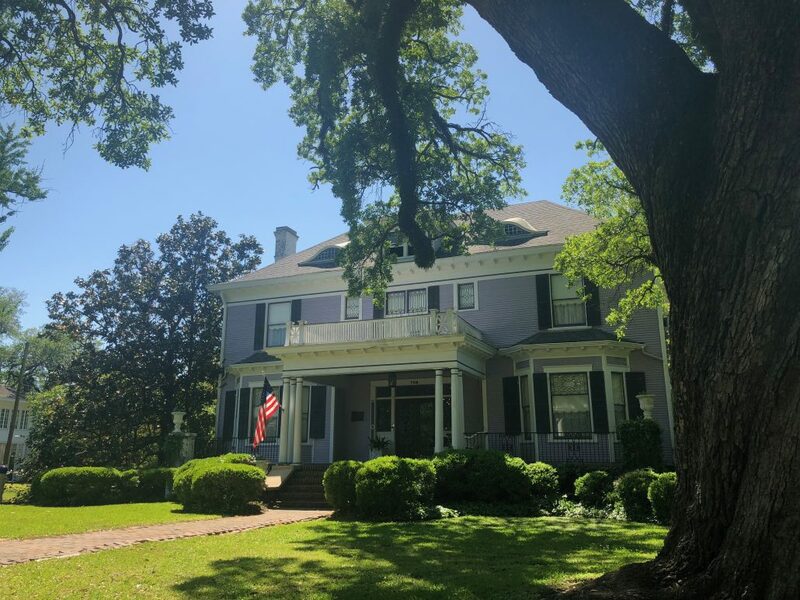 Wisteria is one of Laurel’s most beautiful Bed & Breakfasts and is located across the street from the Lauren Rogers Museum of Art and one block from Downtown Laurel. “Lauren-Rogers grew up in this house built of redwood around 1902 by his parents, Nina Eastman and Wallace B. Rogers. At the time, the innovative Prairie Style was developed by architect Frank Lloyd Wright in Chicago to recreate the flat horizons of the American prairie. This home is also a beautiful event venue! Many Saturdays you’ll find a wedding, party or other celebration happening on the lawn or in the garden. Stop by during the week for a look at the home, which is directly across the street from LRMA! 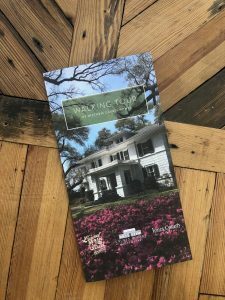 Next time you visit us, be sure to grab your Walking Tour brochure and explore our beautiful Historic District! We only shared a few of our favorites. There are plenty more homes worth seeing! Want to find out about more local Laurel events and happenings? Sign up for updates and follow us on Instagram for daily posts about our home town. 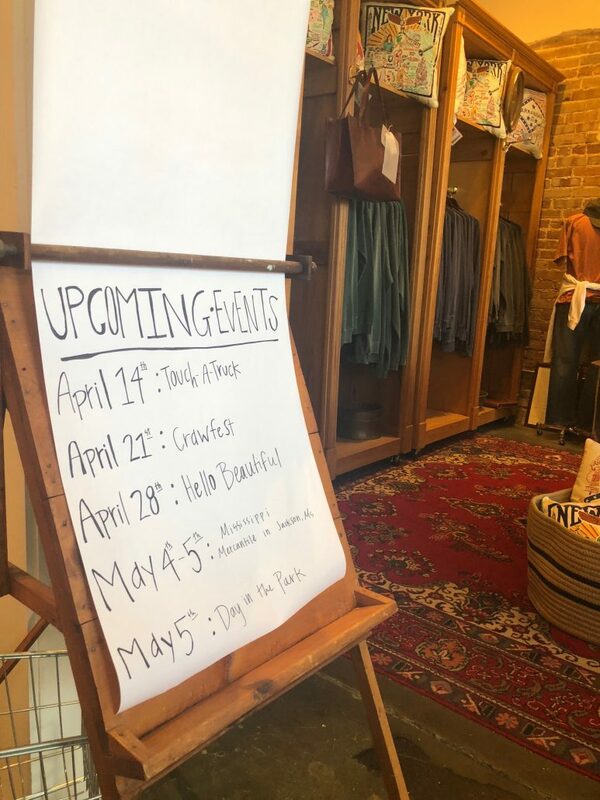 https://downtownlaurel.com/wp-content/uploads/2018/04/IMG_5218.jpeg 3024 4032 Bethany Byrd https://downtownlaurel.com/wp-content/uploads/2018/03/visit-downtown-laurel-01-01-300x211.png Bethany Byrd2018-04-24 05:00:142018-05-01 08:10:00Take a Tour of Laurel's Historic Homes! Laurel Mercantile Co. owned by Ben and Erin Napier and their four closest friends, AKA “framily,” is the tourism hot spot in Downtown Laurel. Whether it’s the first place you stop or the high point of your trip, we know that the “Merc” is sure to be on your list of places to visit. Join us for a video tour of their store and a few of the locals’ favorite finds! Click below to watch now and be sure to sign up for updates! A few our our Laurel Mercantile favorites! 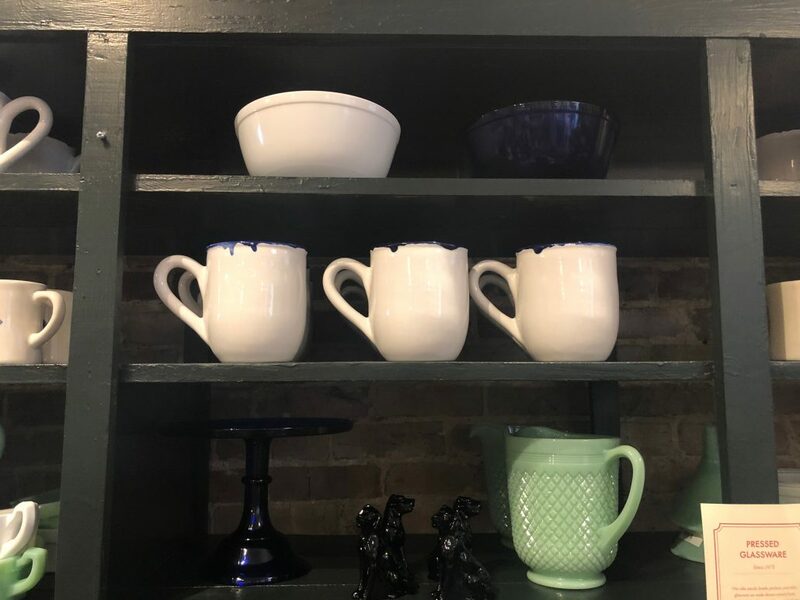 Heirloom wares and durable goods for home and life curated and owned by the cast of HGTV’s Home Town. 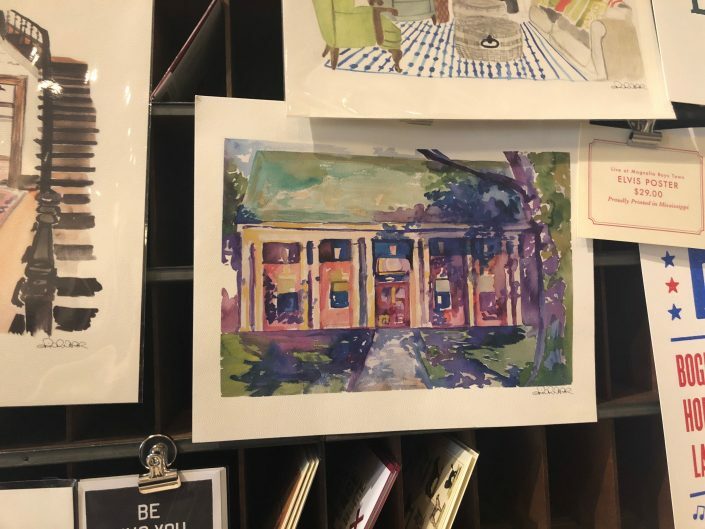 https://downtownlaurel.com/wp-content/uploads/2018/04/IMG_5141.jpeg 2666 4012 Bethany Byrd https://downtownlaurel.com/wp-content/uploads/2018/03/visit-downtown-laurel-01-01-300x211.png Bethany Byrd2018-04-15 14:18:042018-04-30 10:00:44A tour of Laurel Mercantile & our favorite home town finds! 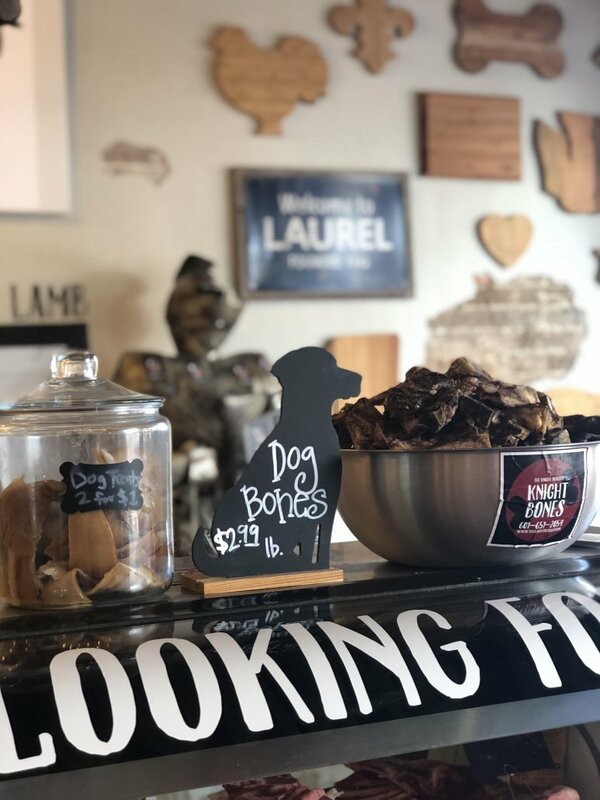 There are so many fun things to do in our home town throughout the year, but if you aren’t a local like us – it can be hard to know when is the best time to plan your trip to visit Laurel. We’ve collected a few of our favorite activities that are best enjoyed at specific times throughout the year. Read on to find the perfect time for your trip! Springtime is quite possibly the very best time to visit Laurel. We will start to see warmer temperatures as early as February (some days even get up to 80 degrees), much sooner than most of the United States. Come thaw out with us and enjoy shopping in downtown boutiques with their doors opened wide to the breeze, and attend a variety of spring events and happenings throughout the city. The first essential tourist events are the outdoor parties held by the Home Town team for the season premiers and finales of the show. These events are open to the public and are a great opportunity to meet the folks behind the show, including Erin and Ben Napier! Join us for these uniquely-Laurel celebrations each year! LOCAL’S TIP: Bring a chair and a big appetite! Thanks to local organizations such as the Chamber of Commerce, these events feature a variety of awesome local food trucks and fare from our downtown eateries! We love our gardens in the South, and we want to share their incredible beauty with you! 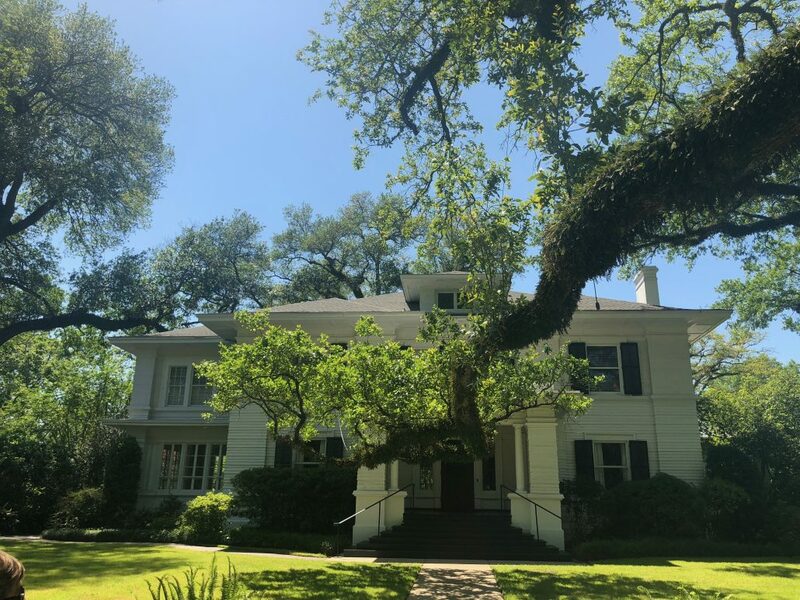 Enjoy a walk under the towering oaks or simply take a drive through Laurel’s historic district to experience a variety of carefully tended gardens and flowering trees. Euclid Avenue and Park is one of the most featured areas on HGTV’s Home Town, and one of Laurel’s most darling neighborhoods. LOCAL’S TIP: Stop by the Laurel Welcome Center at 401 Central Ave. to pick up the official “Walking Tour” brochure with step-by-step directions. Kids of all ages stand in awe of big, hard-working trucks and vehicles. Touch a Truck is a perfect activity to get up close and personal with all manner of tough giants. Looking for an activity for those with sensory sensitivities or children with autism? TAT features a special “quiet hour” designed to allow them to enjoy the fun, without the worry of loud horns or flashing lights. LOCAL’S TIP: Buy your tickets early for a special discount. Click here for more info. Ticket sales go back into the community to fund restoration projects and to help make Downtown even more beautiful. Have you ever experienced a southern crawfish boil? Here is your chance to get a taste of this fun experience as cooks of all experience levels go head to head to see who comes out as the official champion. Enjoy great local beverages, live music, and delicious food at this new Laurel event! LOCAL’S TIP: This is a great opportunity to tour Downtown and visit local merchants such as Laurel Mercantile (Erin & Ben’s shop as featured on HGTV Home Town) and Lott Furniture on Front St, and the boutiques on Magnolia Street. Every local kid grew up looking forward to that warm spring day where the whole family would load up in the car and drive down to Mason Park for a day of fun kids’ activities, local art, awesome arts & crafts vendors and great local music. Day in the Park is the perfect event for those planning an early May trip, where you and your family can truly experience Laurel like generations of local families have before. LOCAL’S TIP: Bring a folding chair or blanket to sit in the grass under the pines and enjoy great food while listening to local artists and productions. Headed down to the Mississippi Gulf Coast, or the Florida beaches? Stop into Laurel for great summer fun and amazing shopping. If there’s anything we know in South Mississippi, it’s how to do summer right! Let the littles stretch their legs and get out their wiggles with a stop in a Laurel. Click here for a full list of kids’ activities and playgrounds in Laurel, many within easy walking distance of downtown! LOCAL’S TIP: Mason Park has the best shade cover for warmer summer days, and the Laurel Sportsplex splash pad is easily accessible and free for a truly cooling experience. No trip to Mississippi is complete without experiencing the uniquely-southern sound of the blues. This annual event is a showcase of the best blues musicians Mississippi has to offer and a celebration of our long history of supporting America’s music. LOCAL’S TIP: Click here to purchase tickets online before your trip. The 4th of July Fireworks have long been a childhood staple in Laurel. 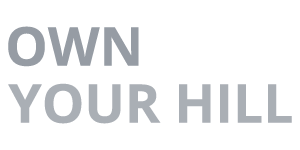 Held each year at both the Sawmill Square Mall, and more recently, Jones Family Medicine Clinic – both shows are free and open to the general public. Happy 4th of July from all of us in #downtownlaurel! // Photo by Andrea Milham. ?? LOCAL’S TIP: Watch the Sawmill Square show from Pinehurst Park in Downtown Laurel for a truly local experience, complete with refreshments! Should you visit Laurel in the Fall? After a long summer, Laurelites always welcome the cooler temperatures of the Fall. You’ll see lots of locals out and about, walking through the historic district, shopping in downtown shops, exploring their hometown and looking forward to the fun of festival season! Join us for these great fall events in Laurel! The Loblolly Festival is an absolute must for any trip to Laurel in the fall. Laurel’s biggest festival celebrates our history as a lumber town, complete with our beloved mascot – The Loblolly Lumberjack – played by the star of Home Town himself, Big Ben Napier! Make a special trip for this one, folks! Are you a #loblollylover? We are! 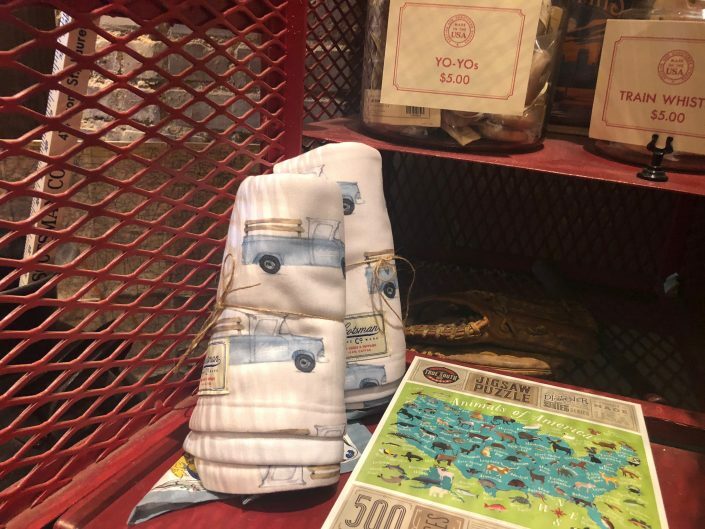 LOCAL’S TIP: Park in the exterior parking lots around downtown, and be sure to leave some room in your car – you’re sure to leave with some great finds! The Deason Home holds secrets of one of the most interesting parts of Jones County’s history. 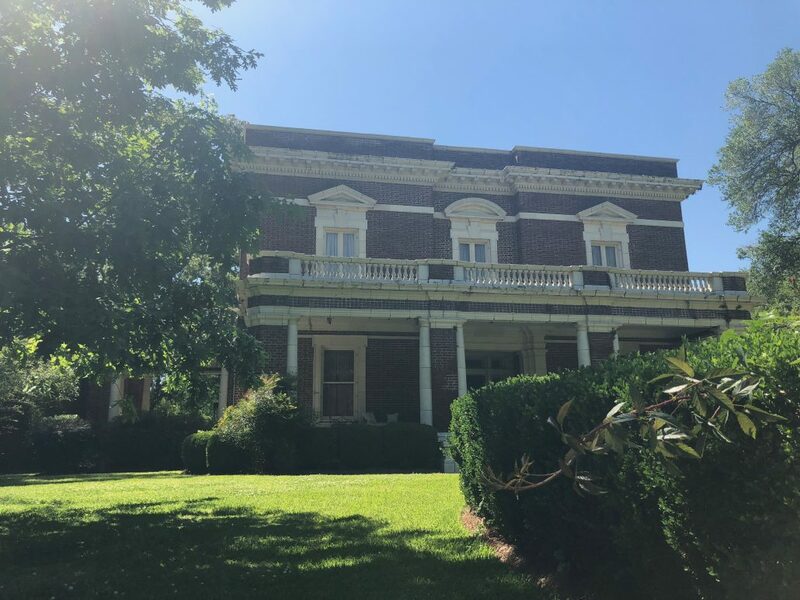 Visit our neighboring town of Ellisville for this fun historical experience, and you might just meet a ghost while you explore our counties’ storied past. Laurel’s historic fairgrounds are never put to better use than when the fair comes to town! Folks travel from all over Mississippi to attend the 2nd largest fair in the state each fall. Enjoy the fun of the rides (check for unlimited armband nights for the best value), incredible local and traveling fair food, arts & crafts, livestock shows and live music! LOCAL’S TIP: Visit during lunch hours for that delicious and addictive fair food, without an admission fee or the nighttime crowds. Even winter is a great time to visit Laurel! Have you ever experienced the holiday season in the south? You’re truly in for a treat if you are here for some of our most cherished annual events! Get ready for one of the quintessential local experiences! 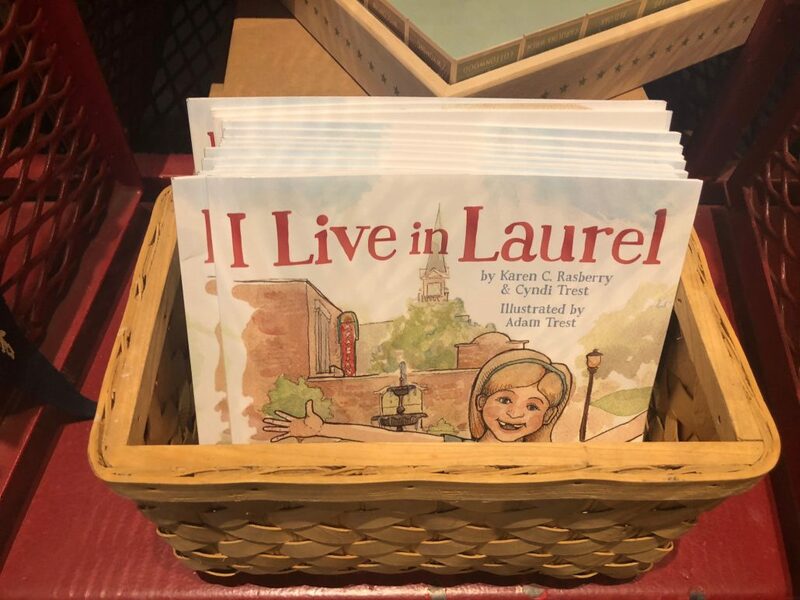 Pancake Day is a sign and symbol of what it is like to say #iliveinlaurel, as locals of all walks of life gather together for a meal before or after the annual Christmas Parade. 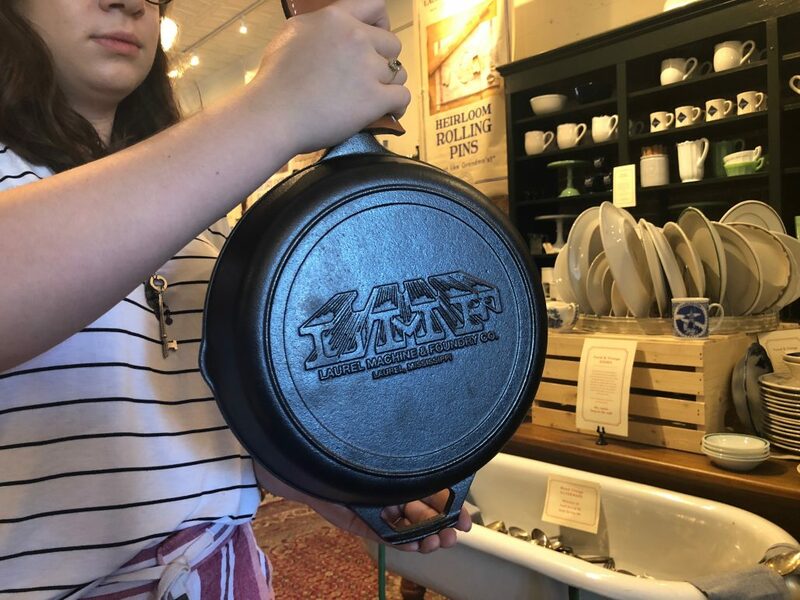 Locals and visitors alike will line the sidewalks in anticipation of a delicious meal of pancakes with butter and syrup served with sausage and cooked up just right. LOCAL’S TIP: Due to its popularity, the event is now held at two separate locations to accommodate the crowds. Check out the YWCO on Oak Street in downtown, or First Baptist Church on 6th Ave.
Did you know Laurel hosts the longest Christmas parade in the state of Mississippi? Join us the first Saturday in December for this morning parade that loops around the Sawmill Square Mall and through Downtown Laurel. You might even spy a jolly, white-bearded fellow with treats for the littles. Pancakes. Parade. Warm fuzzy feelings all around. LOCAL’S TIP: Come to downtown early to claim a spot, visit the shops and grab a hot coffee at Lee’s Coffee & Tea! Landrum’s Homestead and Village, or “Landrum’s Country” to the locals, is a great attraction any time of the year, but it is most perfect during the holidays. Take a walk through a recreation of a historic southern town, complete with cabins, blacksmith demonstrations, and the most quaint little chapel all decorated for Christmas. This is an absolute must-visit for holiday tourists! LOCAL’S TIP: Admission is $10 and walk-ins are welcome year-round. Spending the weekend in Laurel? Maybe you’ve got your day plans already mapped out, but here’s your nighttime itinerary. A lot of us know what eateries are open during the day, but what about on weekends? And for dinner? The Loft on Central Ave. has a beautiful, string-lit patio and deck that’s perfect for intimate dinner dates. Or for a group! Lots of business people enjoy coming here for a drink after work. Local Tip: Try the steak bites! Mimmo’s Ristorante and Pizzeria is one of Downtown Laurel’s newest editions for dinner! Their ambience, food, and cannolis are to die for. Local Tip: Mimmo’s food is authentic Italian! Mimmo makes his bread, pasta, and signature dressing from scratch daily. Looking for some comfort food? The Pearl Diner is open on Saturdays for lunch, and Friday nights for dinner. Local Tip: Miss Pearl’s Banana Pudding is the dessert you need. You’ll be talking about it for days to come. Trust us! In case you didn’t know, Laurel is a hub for great entertainment. From live music to theatre productions, we got it! Lee’s Coffee & Tea has brand new extended hours, and has welcomed some great new things to the café! Enjoy Lee’s until 9 PM on the weekends, and sometimes later on Open Mic Night. The first Friday of every month, Lee’s hosts Laurel’s many local musicians for Open Mic Night. Come grab a coffee, craft beer, or a hummus plate and sit back and watch the show! The second Friday is board game night and the third Friday of the month is Vinyl Night! Bring your favorite record and put in the queue. Did you know Laurel has a brewery? Well, now you do! Slowboat Brewing Co. is fun, family friendly, and the place to go for the best live music. They brew their own in-house craft beer, host food trucks, and have life-size Jenga. Local Tip: Slowboat is dog friendly. Don’t leave your furry friends at home! Laurel Little Theatre hosts seasonal productions and events all throughout the year. Many of our favorite plays have been performed in this historic theatre. Be sure to check out their schedule! The City Beautiful is now home to a “to-go cup” friendly leisure and recreation district. Get your favorite drinks to-go from our local restaurants and bars, and Sip & Stroll under the lights in Downtown Laurel! Pick your poison! Delicious Mississippi craft beer from Slowboat Brewing Company in Laurel. Go for the blueberry! Love these tips? Sign up in the blue box to get email updates and follow our Instagram for more Laurel fun!